For Cuba's supporters, health is the most commonly cited evidence of the socialist system's success. Even critics often concede that this is the country's saving grace. Cuba's health statistics are indeed extraordinary. This small island outperforms virtually all of its neighboring countries and all countries of the same level of economic development. Some of its health statistics rival wealthy industrialized countries. Moreover, these health outcomes have resulted against all odds. Setting out to unravel this puzzle, the author finds that Cuba possesses an unusually high level of popular participation and cooperation in the implementation of health policy. This has been achieved with the help of a longstanding government that prioritizes public health, and has enough political influence to compel the rest of the community to do the same. On the other hand, popular participation in decision-making regarding health policy is minimal, which contrasts with the image of popular participation often promoted. Political elites design and impose health policy, allowing little room for other health sector groups to meaningfully contribute to or protest official decisions. This is a problem because aspects of health care that are important to those who use the system or work within it can be neglected if they do not fit within official priorities. 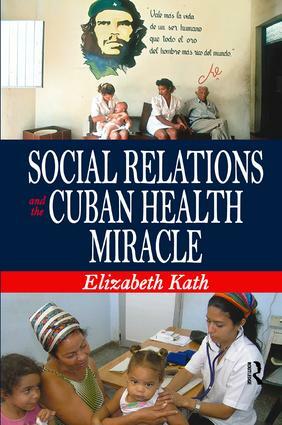 The author remains, overall, supportive of health achievement in Cuba. The country's preventive arrangements, its collective prioritization of key health areas, the improvements in public access to health services through the expansion of health facilities and the provision of free universal care are among the accomplishments that set it apart. The sustainability and progress of these achievements, however, must involve open recognition and public discussion of weaker aspects of the health system.